In 2014, Seattle led the country by passing the highest minimum wage law in the country among large cities. The new minimum wage raised the city’s wages to $15 an hour over several years. The city already had a $9 an hour minimum wage. In 2015, the wages rose to $11 an hour and in 2016, they raised again to $13 an hour. Because Seattle’s minimum wage raised higher than anywhere else in the country, the city set aside funding to study the effect of the minimum wage on business and job growth. For economists, Seattle provided a great test to see if ultra high minimum wage increases affected jobs. Seattle is considered an ideal subject for a test of this kind. The city is home to major businesses such as Amazon, Starbucks, and Nordstrom. Seattle also has a high cost of living, which economists believe would make it easier for the city to absorb the higher minimum wage. The idea is to find out if the high minimum wage affects Seattle and at what price point. The Study was funded by the City of Seattle and conducted by a team of economists from the University of Washington. 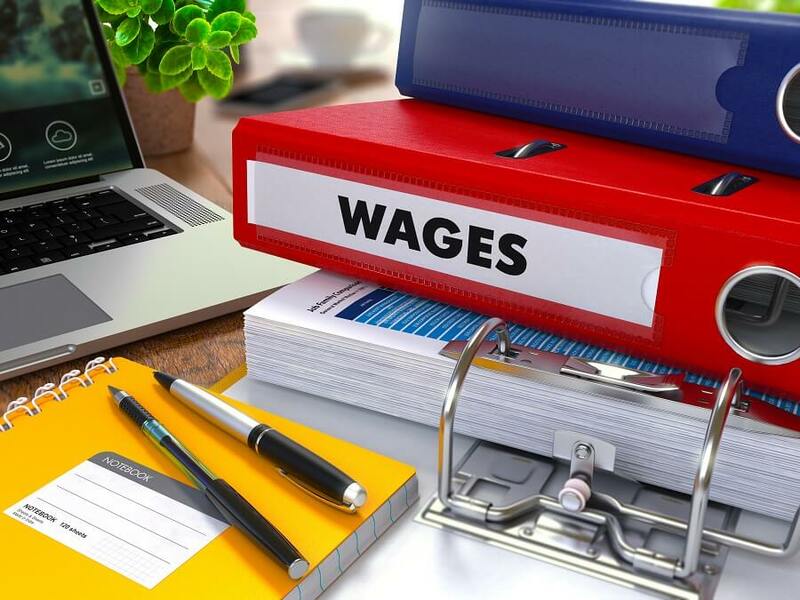 The study found that the drastic increase in minimum wage may have an important cost; steep declines in employment for low income workers and a drop in hours for those who are able to keep their job. On average the lowest income workers lost $125 per month in income because of the minimum wage increase. This is a significant amount of income loss for those already at the lowest pay scales and signals that higher minimum wage could hurt those it’s designed to help. The study has followed the effect of the minimum wage increases in Seattle for the past two years. In the first year, the study studied the minimum wage increase from $9.45 an hour to $11 an hour and found nearly no impact. The change in minimum wage led to some job loss, but it was mostly offset by the increased income enjoyed by workers. One reason for the neutral results was because Seattle already had low unemployment and the competition for employees meant that few workers earned less than $11 an hour. However, the raise to $13 an hour caught a much larger segment of the low income employees. As a result, it had a much higher impact on jobs and overall earnings. This time, the study shows that the number of hours worked by low income employees fell by 9.4 percent and total low-wage jobs fell by 6.8 percent. That adds up to a total of 5,000 jobs and 3.5 million hours of work. The average low wage earner saw a decrease of $125 per month in income. The study has yet to be peer reviewed and is already getting criticized by proponents to minimum wage. The same week University of California, Berkeley released a study showing no impact to Seattle from the minimum wage increase. The Berkeley study looked only at restaurant jobs and found no job loss. Interestingly, the University of Washington’s study concurred with UC Berkeley’s study and also found no job losses within the restaurant industry. The University of Washington’s study has the advantage of its authors having access to all data and earnings of almost all the employees in Washington State. This allowed them to study the effects more closely than is possible without that much data. Washington is one of only three states that require employers to submit that detailed of information to the state. Another study by Jonathan Meer and Jeremy West at Texas A&M found that minimum wage increases impacts the newest segment of employees the most. That’s because employees who are hired at minimum wage tend to get wage increases with tenure. Those who are new to the workforce or who change jobs frequently are the most greatly impacted by minimum wage job decline. William Wascher of the Federal Reserve Board found in a study over a 10 year period, that for every 10% in minimum wage increases, there is a 1 to 2% reduction in low skilled job growth. The impact of high minimum wages, for good or ill, will soon be felt across California. Although several of California’s cities such as San Francisco, San Jose, San Diego and Emeryville have passed ordinances to increase minimum wage, the State of California is also following suit. A law passed last year will increase minimum wage across the state to $15 over the next several years. This may make more sense in parts of California with higher costs of living, but is likely to have a greater impact on California’s cities with lower wages and cost of living. While San Francisco is much like Seattle with a higher cost of living, other cities like San Diego or Fresno, with a lower cost of living may see a much more drastic impact from higher minimum wages. This is especially true of cities that are not tourism based because locals tend to be more price conscious than tourists when a business raises prices to cover increased wage expense. Wages are typically the largest single expense of a business. That is one reason why utilizing the SwipeClock software, which will save money on wage income and maximizes scheduling for the greatest effect becomes so important. Businesses who have employees in Seattle, throughout California, and many other places must monitor often many different local minimum wage laws. In addition Seattle, Emeryville and San Francisco also have to manage restricting scheduling laws, sick leave laws and other overlapping employment leave laws.